Next Century Spirits is officially launching in the UK at this year’s International Bulk Wine & Spirits Show (11-12 March 2019), bringing its technology and experience to the country, as worldwide demand for spirits continues to grow. Established less than one year ago in Raleigh, North Carolina, Next Century is an advanced technology company that specialises in the creation and processing of distilled spirits and wine for private label, bulk, and craft markets. Blending tradition and technology, Next Century produces oak-matured, high-quality spirits in hours rather than years. The company’s patented process technology allows traditional distillers to expand their repertoire of achievable flavours and aromas, while improving quality, consistency and allowing tighter control over the entire production process and maturation system. 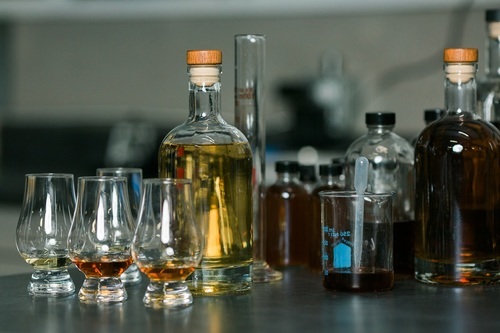 Unlike many rapid-aging technologies, Next Century’s technology initiates processes that more closely match all the major, natural phases that occur in traditional spirits maturation: absorption of wood flavours, filtering and extraction, removal of undesirable elements and refining of flavours. Employing 80-95% less wood than conventional processes, Next Century’s approach eliminates the “angel’s share,” and uses equipment that is highly scalable. Worldwide, demand for spirits is growing. According to the Distilled Spirits Council, U.S. American whiskey consumption amounted to over $3.4 billion in revenue for distillers in 2018, and U.S. whiskey exports to the U.K. more than doubled between 2008 and 2018. Other spirits such as rum and gin are experiencing similar growth. Demand for craft spirits is rising as well, in parallel with craft brewing, as consumers seek an ever-wider range of custom aromas and flavours. To meet this demand, Next Century’s new technology initiates processes that more closely match all the major, natural phases that occur in traditional spirits maturation: absorption of wood flavours, filtering and extraction, removal of undesirable elements and refining of flavours. This technology allows the distiller to impart new and unique finishes to their products. Brands employing Next Century’s technology include Creek Water, a 100-proof American Whiskey launched by award-winning recording artist Yelawolf. The brand, with a distinctive flavour -- slightly charred with spicy hints of cinnamon, traditional oak, and an aroma of tobacco -- has scaled rapidly since its April 2018 launch, with more than 5,000 cases produced, and distribution to 19 states across the country. Next Century Spirits is pleased to be exhibiting at the 2019 International Bulk Wine & Spirits Show in London, England, March 11-12, 2019, table #35, offering tastings and more information about our offerings. Samples of Creek Water, a 100-proof American Whiskey launched by award-winning recording artist Yelawolf, are available on request. Established in Raleigh, NC in 2018, Next Century Spirits blends together traditional distilling techniques and unique finishing technologies to create enhanced spirits. Our new, patented processing technology allows traditional distillers to expand their repertoire of achievable flavours and aromas. The technology allows for tight control over the production process, maintaining high quality and resulting in the ability to create bold, complex flavour profiles. Led by Scott Bolin, a member of the Blackstone Entrepreneurs Network, the Next Century team includes Jay Cummins whose 35-year industry career spans leadership roles in technology, alcoholic beverage, and distribution sectors. Leading innovation is Joel Pawlak, an NC State University Associate Professor of Forest Biomaterials, whose research interests include enzymatic manipulation of material structure, and natural nano-scale fiber composites. Rounding out the leadership team is Nick Scarff, Head Blender, who has earned over two dozen medals in international tasting competitions, and has consulted with distilleries and brands around the United States. This press release was distributed by ResponseSource Press Release Wire on behalf of Ambitious PR in the following categories: Men's Interest, Entertainment & Arts, Food & Drink, Business & Finance, Media & Marketing, Retail & Fashion, Manufacturing, Engineering & Energy, for more information visit https://pressreleasewire.responsesource.com/about.